Although nature usually finds its way to deal with problems on her own we do have to say that there are certain instances where trees may need a little helping hand to develop correctly. 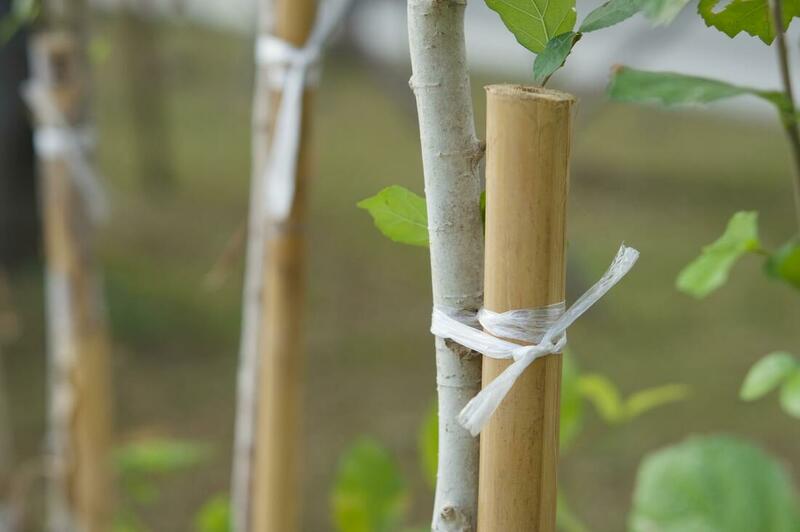 We apply cables and, or braces to trees to help them either as they are developing, to make sure that they literally grow in the right direction. We may also add support systems to trees that we feel are going to have a rough time staying upright. With the right treatment though we believe that we will be able to nurse them back to full strength. When we are attaching cables, braces or other types of support systems to trees they are there to help the tree get its strength. We hate seeing that a lot of companies will keep the braces on just so that the client will continue to pay them. In our mind, if the tree is not going to be able to make it on its own then you may want to evaluate the real value of having the tree at all. You may be better off just removing it. If a tree can’t stand on its own even after treatment it may be more of a danger than you think. We like to call ourselves tree doctors or certified arborists as is the common term these days. The reason that we can consider ourselves doctors though is that we do make a diagnosis on the state of the tree. Based on that we will decide what the best course of action is for the tree. Obviously, you as the owner will have the final say in what we do or don’t do to the tree. What we really want to point out though is that we don’t just put these things on trees without a proper purpose in mind! One of the main reasons that we may get some cables on your tree is the fact that we see that is maybe splitting apart. If you are part of our recurring tree service program then, we should be the first to notice that there is a problem with one of your trees and point it out to you. If you are not getting tree care though, and you notice that one of your trees seems to be heading on two directions it is not always naturally branching out. If this is happening we can help! There are certain young trees that are going to need a little help staying upright through storms and other factors. To them, we can apply different support systems to make sure that they remain attached to the ground. Older trees can also need a little extra help dealing with rough times during the year. Don’t wait until you have a real problem on your hands to give us a call. All of these services work best if you are proactive with your tree care!